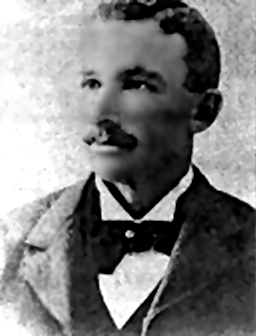 Town Marshal Jasper Westfall was shot and killed while attempting to arrest the former town marshal, who was drunk and threatening to kill him. Marshal Westfall had been appointed as town marshal only three days earlier when the former marshal had been fired by the mayor. Upon being fired, the marshal began to drink heavily at several of the town's saloons. After three days of visiting the saloons and threatening Marshal Westfall, went onto Main Street and began causing a disturbance. Marshal Westfall heard the disturbance from his home and walked over to see what the trouble was. After urging the former marshal to go home to sober up, the man continued to threaten him. Marshal Westfall returned him, retrieved his revolver, and returned to arrest the man. During the course of the arrest shots were exchanged and Marshal Westfall was shot twice. The subject was arrested and charged with his murder. The former marshal was convicted of murdering Marshal Westfall but later paroled. Marshal Westfall was survived by his wife and two children. He was the nephew of the the town of Westfall's founder and namesake. Marshall Westfall, Rest in peace sir. We were fortunate enough to see that your house is still standing today the same location where you passed away. One of the only remaining person’s that lives in the town of Westfall re-counted your story to us. You are not forgotten.